Average 5/5 out of 10 total votes. Caution: This Manga contain themes or scenes that may not be suitable for very young readers. Having reached retirement age, Hiraga Raizou (65) lands a new job that pays extremely well! And it’s top secret!! With no guarantee on your life!!! When he sets out to do the company’s mysterious work, he encounters a little girl at their “workplace” and gets pulled into an incident. Raizou took on the job to pay the medical bills for his grandson’s incurable disease, but what awaits him in this line of work…!? 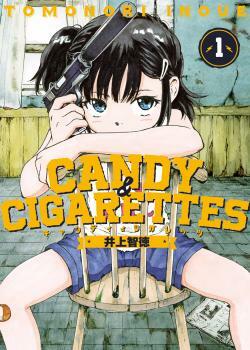 Author of “COPPELION” Inoue Tomonori brings to you an immoral crime action manga!! An elementary school girl and a tough old man team up to rampage through the underworld!! !